The HURLEY 22 was the company's most popular model. After Hurley Marine went out of business, the boat was built by South Coast Marine and then Ravensail. Ravensail called their version the HURLEY 22R. HURLEY 22's differ from one another in many details including mast lengths, ballast material, internal finish and etc..
Fin or bilge keels. 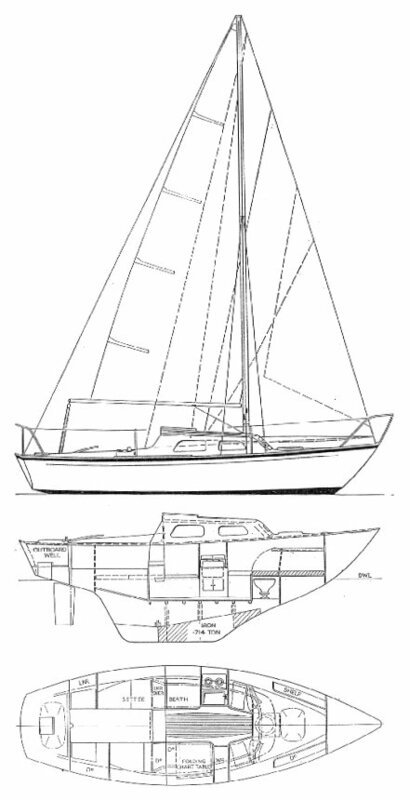 Bilge keel version draws 2.5'. Earlier, non-bilge keel models, had a different shaped rudder on skeg. Ballast and disp. numbers that seem to be shared across most of the manufacturers literature seem to be unrealistic though they are quoted here.